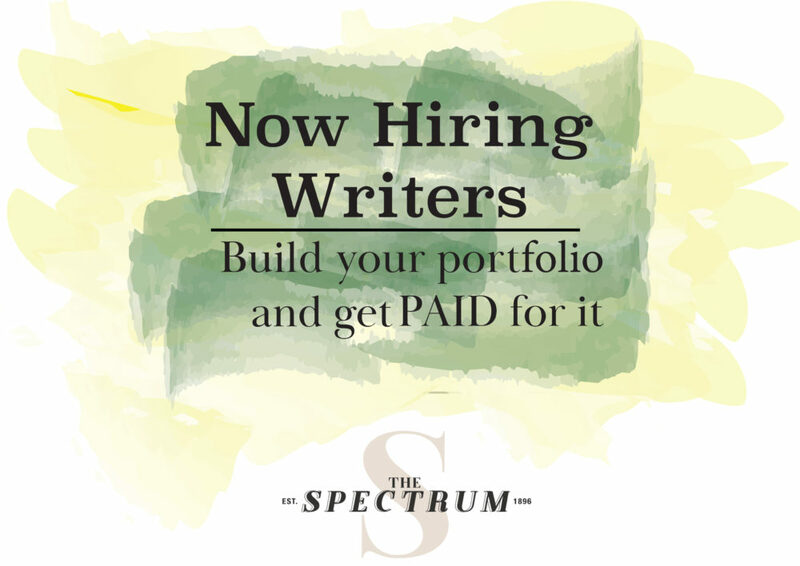 FILE PHOTO | THE SPECTRUM Get Chopped or Not suffers from one of the worst names ever. For a vegetarian, it can be hard to eat on campus. For a vegan, it is close to impossible unless you survive on a diet of Hoagie Hut and potato wedges. What happens when one craves some diversity though? Dammit I want a salad. Get Chopped or Not, please for God’s sake change your name. I now only feel embarrassment saying I ate at Get Chopped or Not. It is so bad that I want to give myself a college equivalent of a swirly for eating at Get Chopped or Not. As of this week I had never gone to one of the most poorly named places on the planet. While the person who named this salad joint could have done with a much simpler name, I can report, it isn’t half bad. What happened to naming it Bitchin’ Salads? A rename is simply in order. 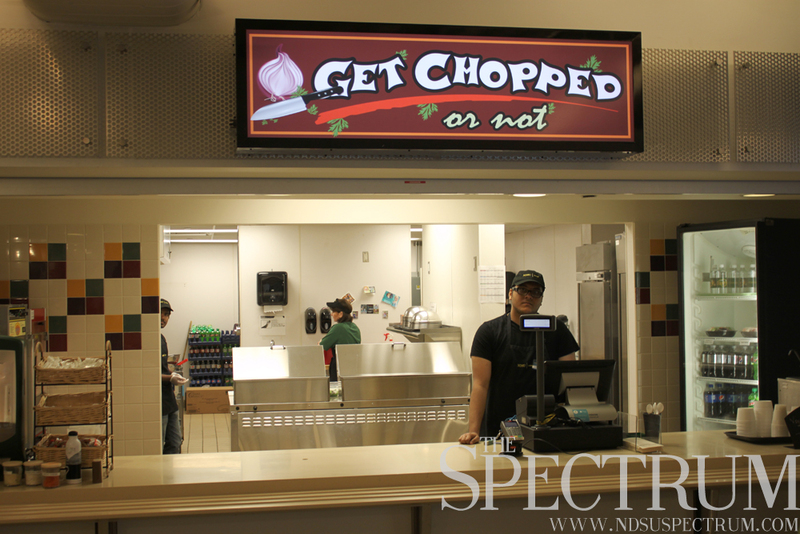 Remember dining services runs Get Chopped of Not. Also remember that for some ridiculously dumb reason they charge $1.50 for a banana at the coffee shop locations. For $6.50 you get arguably more food than any other restaurant on campus. So where is the issue here? Bullying. We have bullied Get Chopped or Not to the corner in the basement of the union. Can we save it? Perhaps, but also maybe not. I can report I have relentlessly made fun of this place for years. Even as I transitioned to the type of person who eats what other people’s food eats. 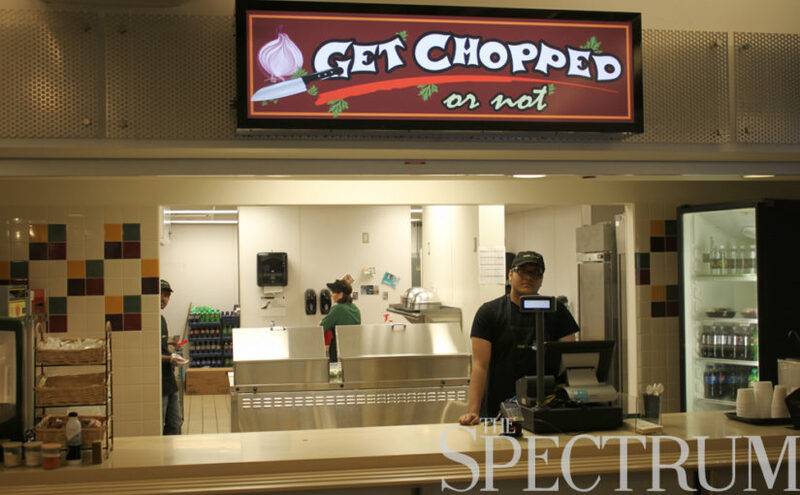 Get Chopped of Not could easily be an essential part of eating on campus for many students. For many people who choose a more vegetarian lifestyle or are looking for a lighter lunch, this place is the bomb. The name, though. I don’t like my restaurants laying out my options so blatantly. I assume I will be eating “Get Chopped or Not” with an air of secrecy. I will profusely tell my friends I brought it from off campus. Perhaps I just might throw the salad away. Who can take such ridicule? Previous Previous post: Name Me MNUFC Manager, How Hard Can it Be?